BAHAHAHAHAA, I just sliced the giant cookie sideways! I'm sorry but this cookie needs to be excavated immediately for carbon dating or something.... Yup, it's tasty alright. Definitely not an Oreo either. This will sound a little dumb, but it's flavor is reminiscent of an ice cream sandwich. BAHAHAHAHAHA, I pulled out one cookie just to find two more. If I pull these out, will I find four more?? 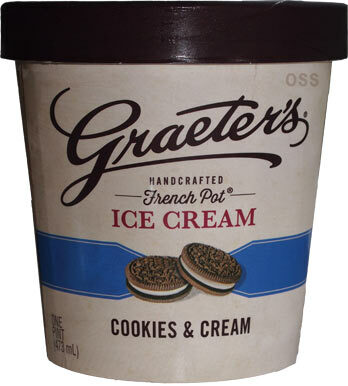 It seems like Graeters is going for literal cookies & cream. 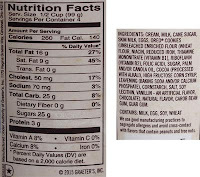 The cookie crumb factor in the base ice cream seems to be at a minimum. 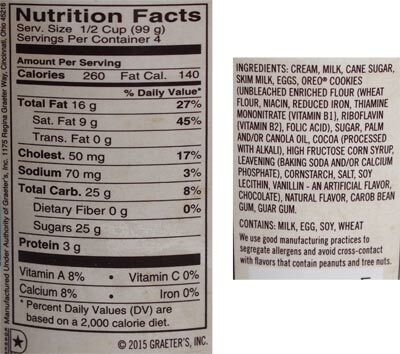 Sure there are little specs, but you're not getting a wafer flavor packed base AND giant cookies. And then whether it's my mind messing with me or the cookie cream lingering, but the base seems to have an amped up cream factor. Like I said, cookies and cream. Man, it is crazy how many cookies are in my cup. I've had many C&C flavors in my day, but for a random serving, this has to take the giant cookie trophy. Oh Graeters, how we all love your craziness. Oh yeah, I just smashed the last cookie chunk in to the last of the high quality ice cream base. Ahhhhh, that's what I was really expecting (wanting). Good times! On Second Scoop: So many cookies, so little time. 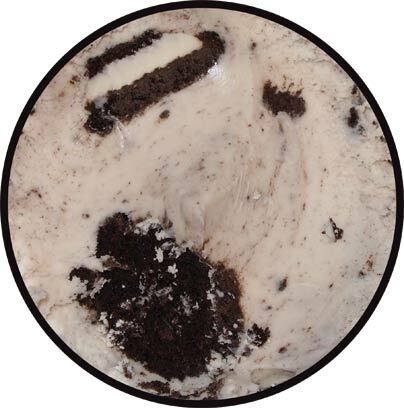 If you've ever wanted whole Oreos in a sweet cream base, than this one is for you (Yes, they are Oreos despite me not recognizing them). Now despite this being a quality product, I would be remiss if I didn't point out that this isn't technically my preferred variety of cookies & cream. Yes, this is a neat twist to set it apart from all the other C&C flavors out there, but I just adore a good crumb filled base in my C&C ice cream. To wrap up the back and forth: Yes, I am amazed to find so many full size cookies in a pint of ice cream. They start at the top and go all the way to the bottom. I've had half gallons of ice cream that just pale in comparison. This is definitely a neat take on C&C to put on your bucket list, especially if you are a fan of Graeters. I have to admit that I am surprised that this not your style since you always go for the super chunks before the actual ice cream on your first scoop. Graeter's is known for their planet-sized mix-ins, that's for sure, haha. The chocolate chunks, these cookies... it's amazing just how many they cram into one pint too! As a fellow C&C lover, I have to know what brand is your favorite? 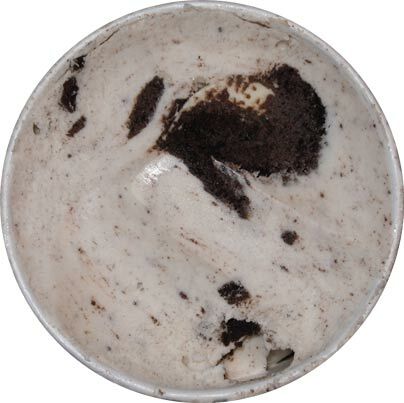 I love cookies n cream, its such a simple concept but it seems like so few brands do it right. Its usually vanilla ice cream with cookie mix-ins or cookie specs, instead of one unique flavor.